The self-imposed president of Ukraine Aleksandr Turchinov will be considered a “war criminal” in case he uses military force against the population of south-eastern part of Ukraine, Russia’s lower house Speaker Sergey Naryshkin reportedly warned. Naryshkin held a phone conversation with Aleksandr Turchinov from the Batkivshchyna (Fatherland) party, who is leading a self-proclaimed government in Kiev. During the conversation Naryshkin reportedly warned Turchinov against deploying forces against Ukrainians resisting Kiev, a source told RIA Novosti. The Ukrainian side has stated that it has no plans to resort to use of force against citizens. 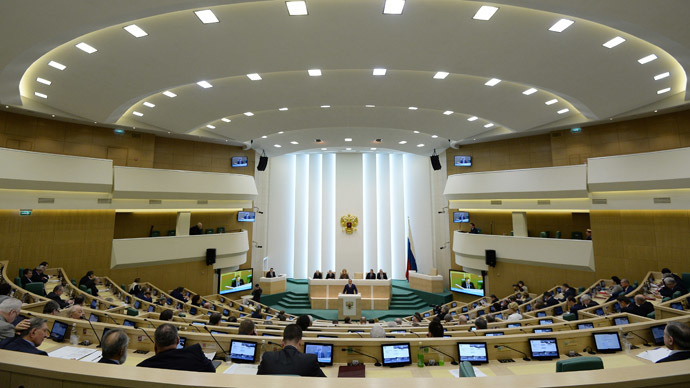 Russia’s Federation Council unanimously approved on Saturday President Vladimir Putin’s request to use Russian military forces in Ukraine to protect ethnic Russians following a request from authorities in Crimea. 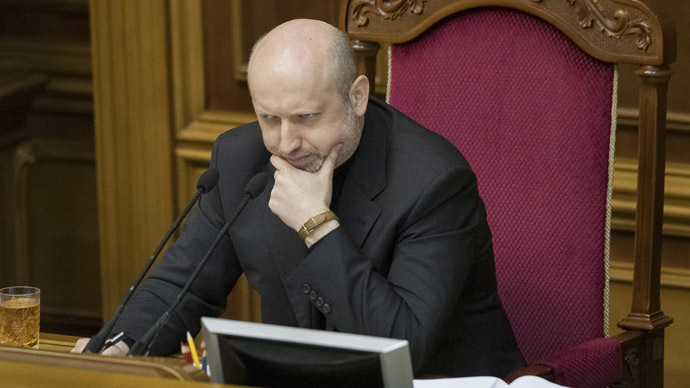 Turchinov has ordered a full mobilization of Ukraine’s armed forces and ordered to boost security at nuclear power plants, airports and other sites citing threat of “potential aggression” from Russia. 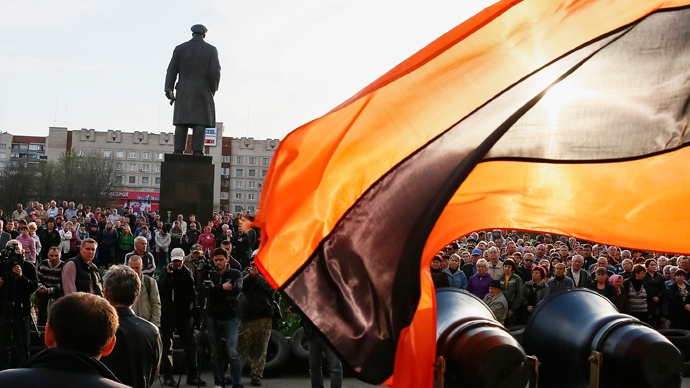 It is unlikely that the interim government in Kiev will send troops to Crimea, believes political commentator Aleksandr Nekrasov, but even their rhetoric is enough to escalate tensions. The crisis in Ukraine escalated after a revolution forced President Viktor Yanukovich leave the capital. 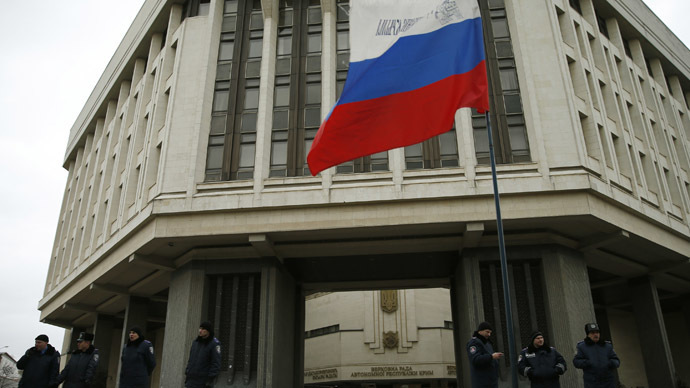 The developments follow an appeal by the Prime Minister of the Autonomous Republic of Crimea, Sergey Aksyonov, who requested that Russia to help cope with the crisis and ensure “peace and calm” in the region. One of the first orders of the new self-proclaimed government abolished the use of other languages in official circumstances in Ukraine. It sparked a wave of mass protests in Eastern Ukraine, where a vast ethnic Russian contingent is living and the majority of population speak Russian. Feeling a threat from the new government of questionable legitimacy, a number of regions stood up against it. Thousands of people across eastern and southern Ukraine are flooding the streets of major cities, carrying Russian flags and urging local authorities to disobey Kiev’s orders. The local population is calling the government in Kiev illegitimate and demanding that their local governments refuse to take orders from it. Russia, too, has voiced doubts over the legitimacy of the self-proclaimed government, citing the procedural violations the Ukrainian parliament committed in ousting Yanukovich, appointing a new cabinet and taking control of the country’s judiciary. 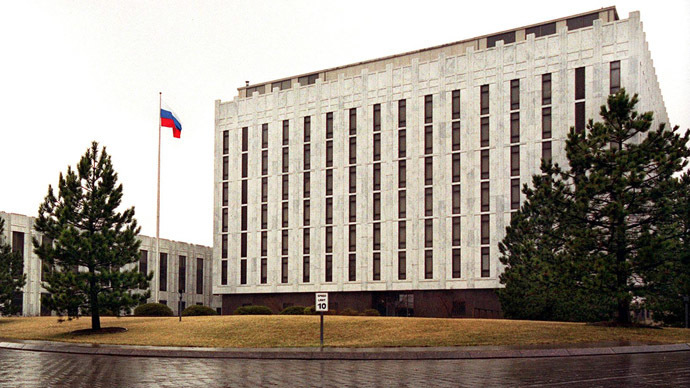 Moscow is also concerned over reports that some MPs were forced to change their votes under threat of physical violence. Moscow on Saturday referred the issue to the Venice Commission of the Council of Europe, an advisory body with expertise in constitutional law. A similar request to monitor the legitimacy of the actions in Kiev was addressed to the Interparliamentary Assembly of the Commonwealth of Independent States, which brings together MPs from most former republics of the Soviet Union.